Yehuda Yannay (b. May 26, 1937 in Timișoara, Romania) is an Israeli-American composer, conductor, and media artist. Surviving the Holocaust times and fleeing the subsequent Communist regime, he immigrated with his parents to Israel in 1951. Yannay is a prolific and versatile composer and media artist of international reputation whose list of about 130 works include: music for orchestra, electronic, live electronic and synthesizer pieces, environmental compositions, film, music-theater, and a large body of vocal and chamber music pieces. In the early 1960s, when his works started to attract attention in Europe, Yannay was considered Israel’s most challenging composer. He represented Israel at the ISCM festival of 1968 in Hamburg and the Gaudeamus Festival in Holland. Considered an international figure in contemporary music, Yannay’s contributions to new ideas in 20th-century music are listed in numerous articles, textbooks and encyclopedias of music. A wide array of his works for instruments, voices and electronics are found on the Innova and Electronic Music Foundation and other labels. “Wire” magazine listed him in a short list of composers with original ideas in new music of the 20th Century. He studied composition in Israel with A. U. Boscovitch and graduated from the Rubin Academy of Music in Tel-Aviv in the year 1964. Before graduation he received the first Fulbright grant in music from Israel. He chose to attend Brandeis University where he was awarded an MFA (1966). After a fellowship at the famed Tanglewood composition seminar in 1965, he returned to Israel as a part-time dean at the Conservatory of Music in Tel-Aviv. In 1968 he was invited as a doctoral student to the University of Illinois in Champaign-Urbana where he participated in the lively avant-garde activities in the late sixties and obtained a doctorate in 1974. During his student years he held some of the most prestigious scholarships in Israel and the Usher was guest composer in the new music festivals in Saõ Paulo in 1989 and Stuttgart in 1990, and the International Week of New Music in Bucharest in 1992 and 1993. The International Music Festival in Timisoara, the city of his birth, honored him with a concert of his music. In 1998 he was invited as guest composer and presenter by the Society for Jewish Music of Berlin for the festival celebrating 50th anniversary of the State of Israel. 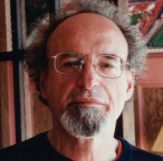 He received numerous commissions and grants from prominent performing groups, soloists and foundations such as the National Endowment for the Arts, National Endowment for the Humanities, Milwaukee Symphony, The Orchestra of Our Time, Israel Composers Fund, Wisconsin Arts Board, Anna Nassif Dance Co., Festival Musica Nova in Santos, Brazil, and others. Yannay had recently a major premiere with the Cleveland Chamber Symphony. The Innova, Electronic Music Foundation, Vienna Modern Masters and Albany labels issued five CDs with his works. He toured extensively as composer, lecturer and conductor in Western and Eastern Europe, Brazil and Israel. In April of 2018, his first string quartet “Two Lanes In Old Tel-Aviv” was premiered at the Mendelssohn Foundation in Berlin by the Gutmann-Male Ensemble in a concert-lecture dedicated entirely to this work. His first saxophone quartet “The Center Does Not Hold” written for the Ancia Saxophone Quartet was premiered in fall of 2018 in Minneapolis. A new piece for mixed choir, harmonicas and melodicas on Hebrew texts entitled “Mayeem” (Water) was premiered by the University of Wisconsin-Whitewater Chamber Choir. A major solo bassoon work entitled the “The Exquisite Bassoon” was premiered by Monte Perkins in fall of 2017. In June 2018 the Gutmann-Maile Ensemble Berlin premiered “Berlin Music” for string trio on a concert series in Steglitz-Berlin. The Ensemble is scheduled to present another Yannay composer portrait at the Mendelssohn Foundation in Berlin in November 2019. It will include a double performance of “Berlin Music” and “Visions of Y” for viola and piano. For more information, visit http://yehudayannay.com.